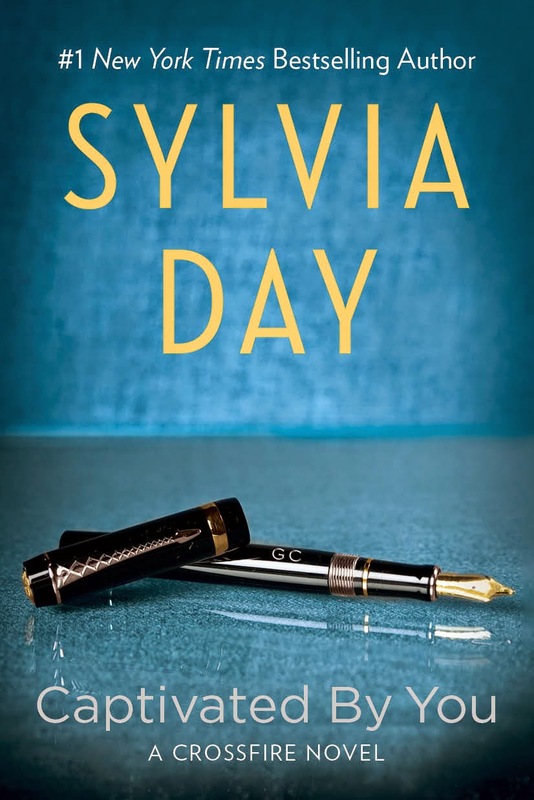 New York, NY: September 8, 2014 – Berkley Books, a division of Penguin Random House, announced today that it will release #1 New York Times bestselling author Sylvia Day’s CAPTIVATED BY YOU, the highly anticipated fourth novel in the global blockbuster Crossfire series, on November 18. Bared to You (April 2012) spent 45 weeks on the New York Times trade paperback bestseller list and 67 weeks on theUSA Today bestseller list. Following the phenomenal success of Bared to You’s release, Reflected in You (October 2012) debuted at #1 on the New York Times trade paperback, e-book, and print/e-book combined fiction bestseller lists. The third novel in the series, Entwined with You (June 2013), also debuted at #1 on the New York Times trade paperback, e-book, print/e-book combined fiction bestseller lists as well as #1 on the USA Today bestseller list. Sylvia Day and the Crossfire Series have been featured in USA Today, People, Time, Entertainment Weekly, SELF,Associated Press, The Wall Street Journal, The New York Times and Variety. “We knew the Crossfire novels were special from the very beginning, and the incredible response to Sylvia’s books has been extremely rewarding. We’re thrilled to publish the next chapter in a love story that has been embraced by readers around the world,” said Leslie Gelbman, President and Publisher of Berkley Books. Following the relationship of Day’s iconic couple, Gideon Cross and his wife, Eva, the Crossfire series is one of the most popular series in contemporary fiction. Its blend of romance and emotional intensity has defied genre boundaries and enthralled readers. With the massive success of Day’s previous novels and the fervor surrounding this newest release, CAPTIVATED BY YOU is poised to be Day’s biggest success to date. CAPTIVATED BY YOU will also be published on November 18 by Penguin Random House in Canada, the United Kingdom, Australia, New Zealand, Ireland, South Africa and India. Visit Sylvia at www.sylviaday.com, Facebook.com/AuthorSylviaDay and on Twitter @SylDay.